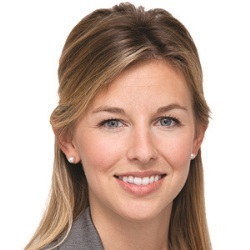 Kaci Boyer is a Vice President of Neuberger Berman. As Vice President and a member of the private equity investment team, Ms Boyer spends a majority of her time on investment due diligence and managing client portfolios. Ms Boyer is the day to day investment contact for some of Neuberger Berman’s largest private equity separate account mandates. During 2011, Ms Boyer spent 8 months in Neuberger Berman’s Hong Kong office working on private equity investments throughout the Asia Pacific region. Ms Boyer currently serves on the board of trustees of a company based out of Atlanta and also serves as an observer on the board of a company on behalf of Neuberger Berman. In 2017, the National Association of Investment Companies recognized Ms Boyer as a Rising Star for outstanding contributions she has made to the private equity industry early in her career. Ms Boyer received a B.B.A. in Finance from Southern Methodist University.